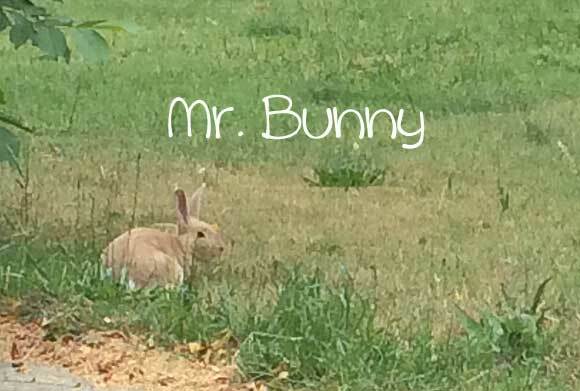 Saw Mr. Bunny today! Unfortunately the phone did not take a very good picture. I may take a real camera next time or two and see if I can get something better. Anyway is fun to see him. Jon and I make a count of how many cats we see on our walk. Today was an all time high. Five cats, one bunny and several squirrels. 1. Our old truck (1978) is back from the garage and hopefully better. 2. Rereading Harry Potter – I like the first book the best. 3. Making a Beet & Bean salad to take to wedding on Saturday. Sounds weird but is so good! This is actually my first time making it myself but think it will turn out okay. I will share recipe if it comes out like I remember it!